​Isn’t it funny how the most basic accessories in our wardrobe often become our most favourite, too? Sure, a bold, bright hat is nice, but so is a super-soft, super-dependable hat like Gunther. 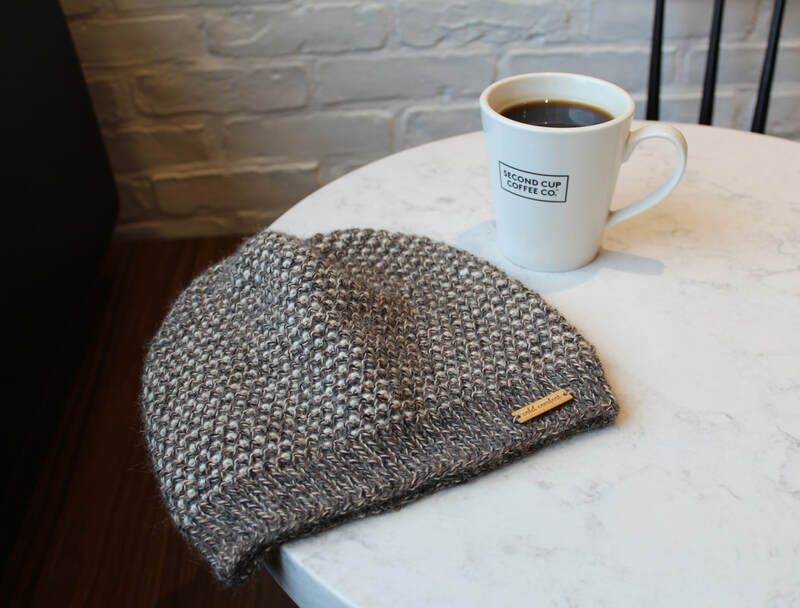 Knit from pure baby alpaca, using an easy-to-memorize slipped stitch pattern, Gunther is an unassuming hat with depth and texture to spare. Meet your new favourite hat! 9.25” (23.5 cm) length x 9.75” (25 cm) width / 19.5” (50 cm) circumference [un-stretched]. To fit 22-23” (56-58 cm) head circumference—average adult. MC: 1 skein in shade #1527 “Pepper Twist”. CC: 1 skein in shade #1510 “Natural”. Sample used ~ 135 yards / 125 meters / 60 grams of MC and ~ 80 yards / 75 meters / 35 grams of CC. One 16” (40 cm) circular needle size US 5 (3.75 mm). One set of four double-pointed needles size US 5 (3.75 mm). ​28 stitches & 64 rounds = 4” (10 cm) in Waffle Check Pattern; un-stretched.